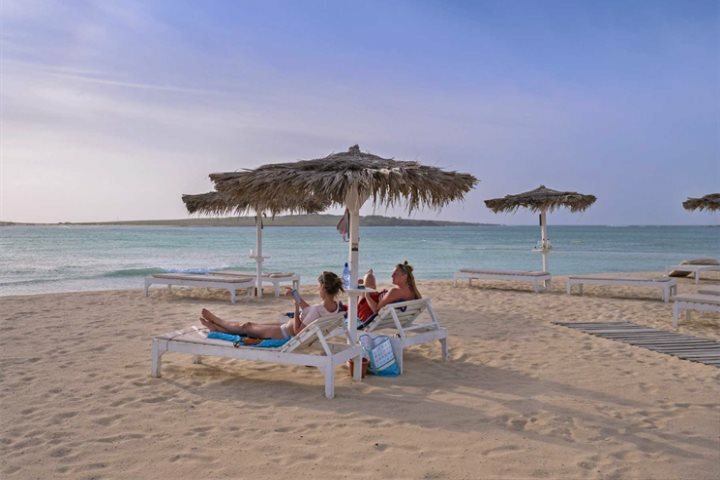 With no end of beautiful sandy beaches that stretch for miles, a lively nightlife scene and a plethora of good value restaurants, Sal has a lot going for it. 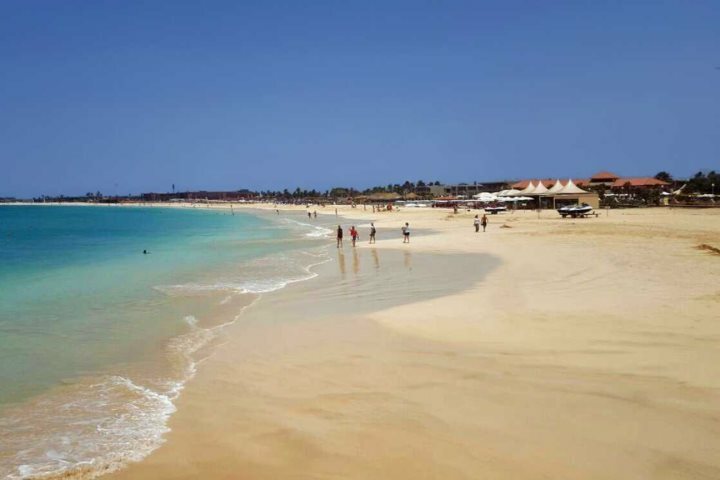 It was the first Cape Verde island to be developed for the tourism industry, although prior to this it was a well-kept secret with water sports enthusiasts – it’s easy to lose an hour or two on Kite Beach where the kite surfers mesmerise you with their athletic feats that seem to defy gravity. While primarily a beach resort, there’s some interesting sights to visit too. I love Shark Bay because you can join an excursion and walk out into the shallow water (wearing suitable shoes which can be hired) and stand amongst the lemon sharks in their natural surroundings. It’s a really great experience. You can also go to see the Blue Eye, a beautiful natural formation in the coastal lava pools. At Terra Boa, you can witness a stunning mirage that appears as an ocean in the dessert and in the north of the island you can float in the salt mine waters located in an extinct volcano crater. 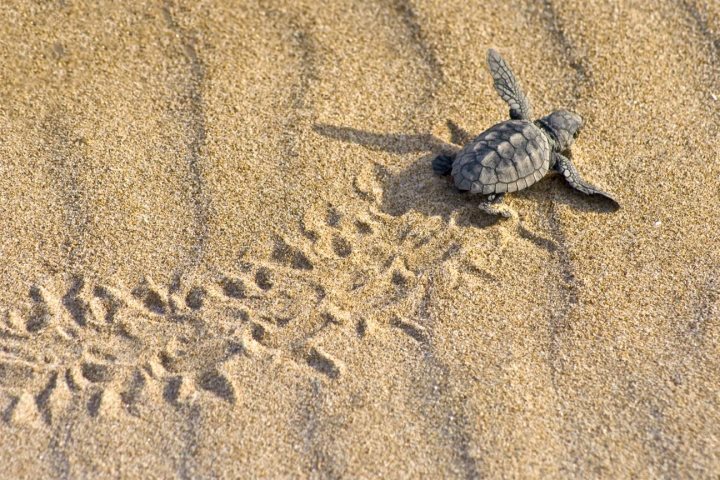 I also love that you can learn about sea turtle conservation here and appreciate the great lengths Project Biodiversity go to in protecting the nesting loggerhead turtles and ensuring the safe release of the hatchlings. You can even sponsor a hatchling to ensure their work can continue year on year. 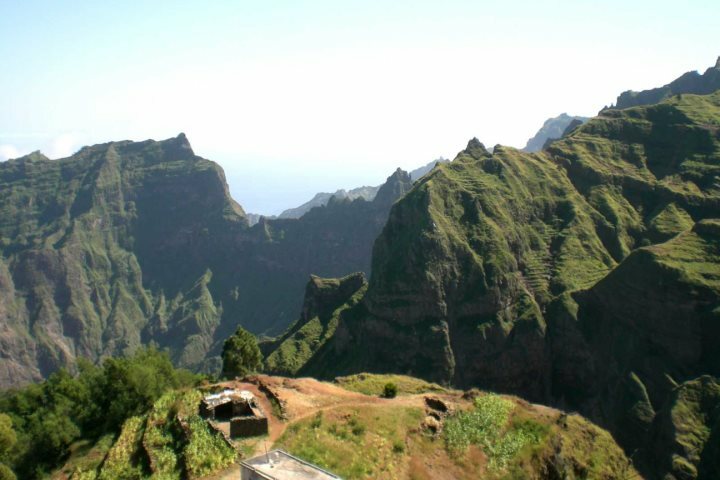 For me, Santo Antão is the most visually stunning of all the islands. It’s popular with hikers and anyone who loves getting close to nature. Despite having some of the most impressive scenery that you could hope to find anywhere in the world, only a few tourists visit, so it still feels like a real hidden gem. Take a hair-raising drive through the winding mountain roads to see local homes clinging to the hill-sides, breathtaking ravines and gorges covered in lush green vegetation. It’s magical! A visit to the volcanic island of Fogo is a humbling experience when you learn how the volcano has impacted on local life. The wine the island is famous for is produced from vines grown inside a huge volcanic crater, while coffee beans are grown on the outer slopes. The soil is very fertile yet life here has an uncertain edge. People live simply, having had to rebuild their homes and communities following a series of small eruptions inside the crater. The lunar-like scenery is striking and a hike up the volcano is really rewarding. Beach. Beach. Beach. You can build some serious sandcastles here in the never-ending dunes that rise and fall in ever-changing drifts, sculpted by the sea breeze. It’s an amazing sight, as is the desert in the interior of the island. The marine life is just as impressive and with such crystal-clear water it’s no wonder that the island is such a draw for divers. Quad biking, deep-sea fishing and windsurfing are also popular activities here. 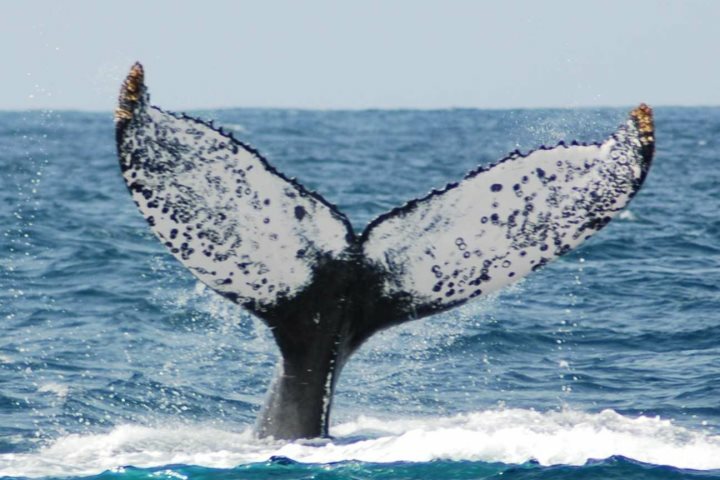 Between February and May, humpback whales can sometimes be spotted, while from June through to September you may catch a glimpse of the loggerhead turtles that nest on the beaches in the south. 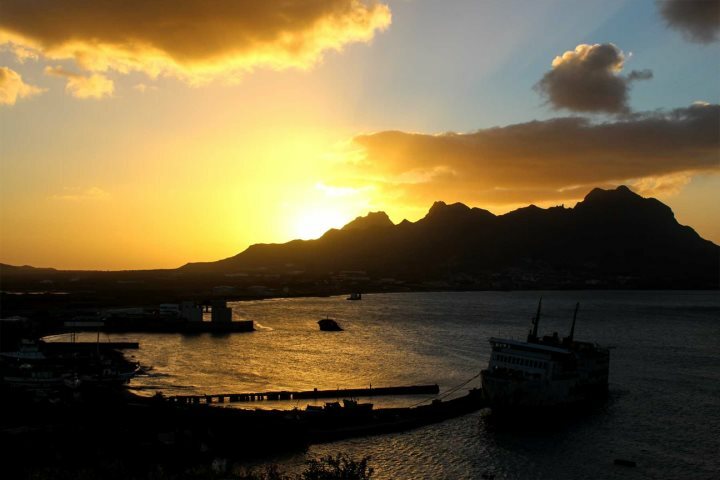 Possibly the most intriguing of the islands, São Vicente, is the archipelago’s cultural heart, in particular in the capital Mindelo. There’s a lively night life scene here with live music in the plethora of bars and restaurants. You’ll discover music around almost every corner. The city is a great place to explore in the day time too, with striking architectural reminders of when the island was a Portuguese colony. 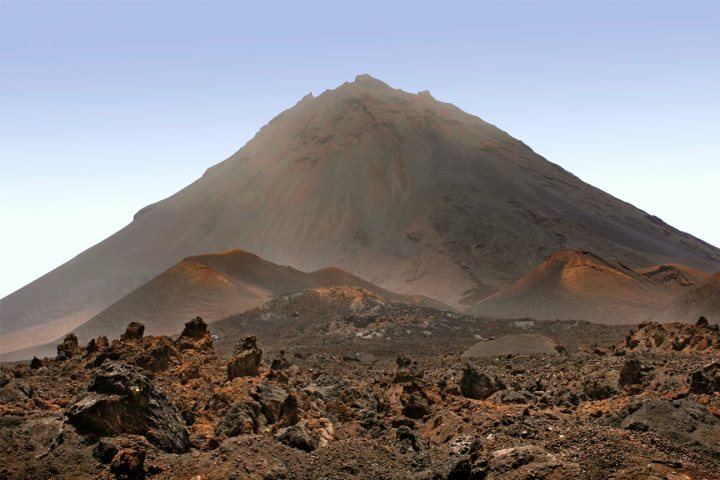 Away from the capital, beautiful beaches contrast with the mountainous interior landscape – when you reach the peak of Monte Verde you are rewarded with wonderful views over Mindelo. If you can’t decide which island is the perfect fit for you then why not visit more than one? 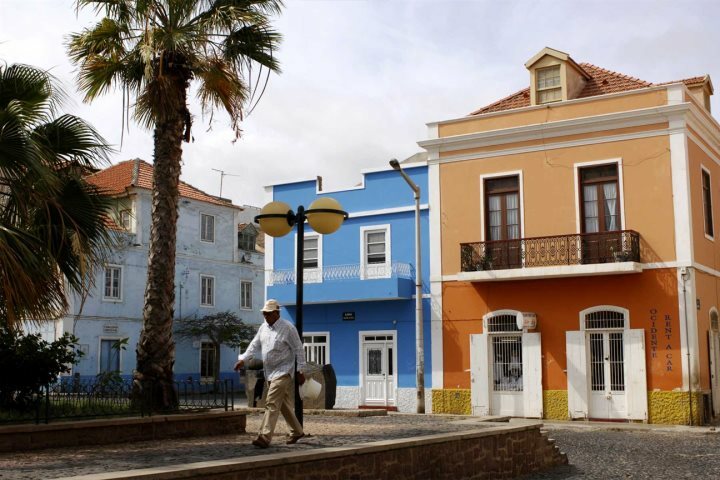 We have a number of island hopping itineraries which allow you to experience the best of both worlds, from relaxing on the beaches of Boa Vista or Sal to discovering the culture on São Vicente. We can also tailor-make a holiday specifically to your requirements, giving you the complete freedom to select which of the islands you wish to visit as well as the hotels you wish to stay in. What’s more, flights permitting, you can stay for as long (or as short) a time as you want in each location depending on how much each one interests you. 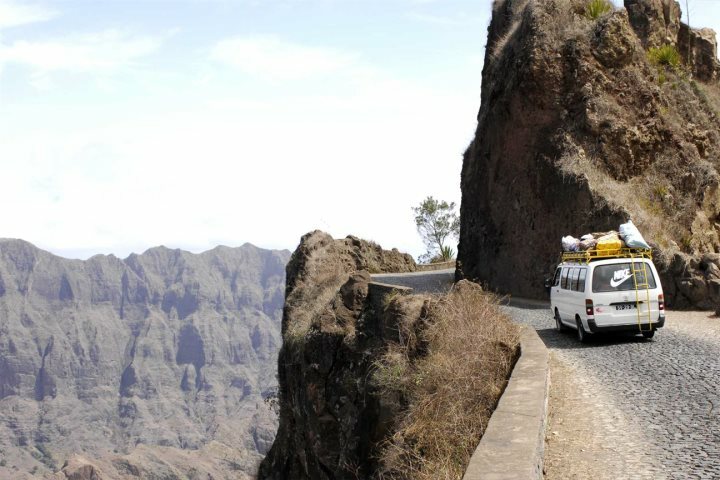 Book your holiday to Cape Verde today and discover this unique archipelago off the West coast of Africa.